The United States Army in Europe plans to significantly bolster its military presence in Eastern Europe, US European Command officials said on Wednesday. By February 2017, the US military plans to maintain a “permanent footprint” of three combat brigades stationed on the continent. The deployments will include 250 combat vehicles, including tanks, armored personnel carriers, Bradley and Paladin Fighting Vehicles, howitzers and thousands of troops. The 4,200-strong rotation, positioned along NATO’s border with Russia, including deployments in Bulgaria, Estonia, Lithuania, Latvia, Poland and Romania, will come in addition to 62,000 US personnel already stationed in Europe. “This is a big step in enhancing the Army’s rotational presence and increasing their combat equipment in Europe,” US General Philip Breedlove said. “This Army implementation plan continues to demonstrate our strong and balanced approach to reassuring our NATO Allies and Partners in the wake of an aggressive Russia in Eastern Europe and elsewhere,” he said. America’s regional partners will host “a more frequent presence of an armored brigade with more modernized equipment in their countries,” Breedlove said. The latest moves to expand the US military footprint in the East were authorized by the Obama White House in February, as part of the 2016-2017 European Reassurance Initiative (ERI). This year’s ERI allocates $3.4 billion to finance the US presence in Eastern Europe, an increase of some 400 percent above the ERI budget for the previous year. The huge increase in funding is the latest escalation of the US war preparations that have transformed Central and Eastern Europe into a virtual armed camp in the two years since the 2014 US-orchestrated coup in Ukraine. During this period, the US steadily extended its basing arrangements and political commitments through the post-Soviet sphere. Beginning in April 2014, the US deployed expeditionary forces of some 600 troops to all three of the Baltic states. In September 2014, President Obama affirmed that the US commitment to the defense of Estonia is “unbreakable,” “unwavering” and “eternal.” Last February, NATO announced plans to double its combat units stationed in Eastern Europe, including the establishment of six command centers dispersed throughout the region. Together with these deployments, the latest wave of US military assets dispatched to Eastern Europe is designed to allow US forces to engage in large-scale war with Russia, US Undersecretary of Defense Robert Work said Wednesday. “There will be a division’s worth of stuff to fight if something happens,” he told the Wall Street Journal. “If push came to shove, they’d be able to come together as a cohesive unit that has trained together, with all their organic equipment, and fight. That’s a lot better than what we have right now,” Work said. “There will be American equipment and people in each of these countries,” US General Ben Hodges told the Journal. 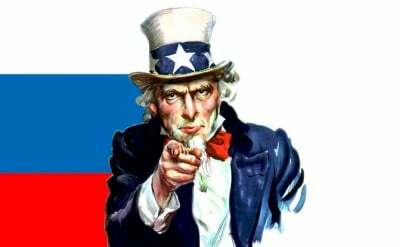 Russian forces are already prepared to counter the “confrontational patterns” followed by the US and NATO, Russia’s Permanent Representative to NATO Alexander Grushko said in response to the US military announcements. Moscow will take “all the military measures we consider necessary in order to counterbalance this reinforced presence,” Grushko said. “Certainly, we’ll respond totally asymmetrically,” Grushko said. The anti-Russian drive is being accelerated by the role of NATO’s Eastern European and Baltic members, which seek to use the growing US-Russian confrontation to militarize their own societies and repress dissent under conditions of deepening social crisis. The Polish president is set to discuss a range of joint security projects with US leaders while attending the Nuclear Security Summit in Washington this week. Duda’s rhetoric aside, the military preparations of the US and its allies are anything but defensive in nature. In reality, the US and NATO forces massing on Russia’s border are part of preparations for a range of military and covert-intelligence operations directed against pro-Russian political factions and against the Putin government itself, aimed at destabilizing and overthrowing pro-Russian governments using the “hybrid warfare” methods employed by the Western powers during the 2014 coup in Ukraine and the 2011 US-backed insurgency in Syria.